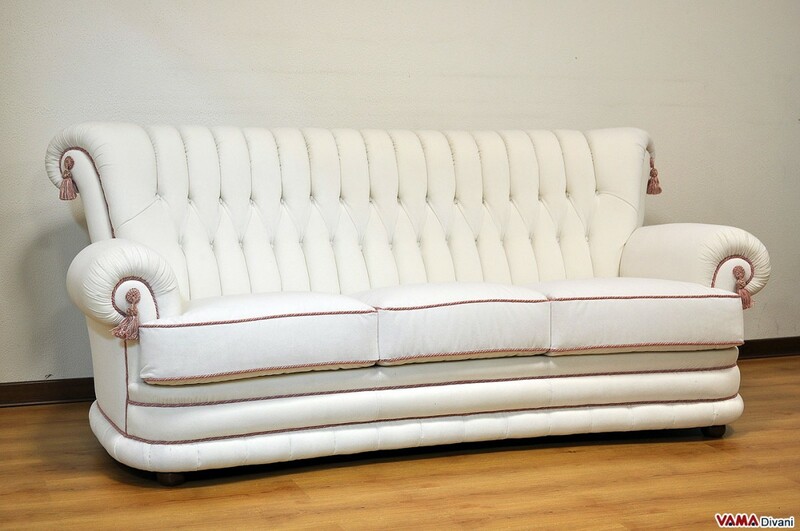 Luxurious and stylish, the classic Doge sofa recalls the style of the famous Chesterfield sofa, while presenting the aesthetic features that make it unique, such as its large and high back and its buttoned upholstery which features also its base. 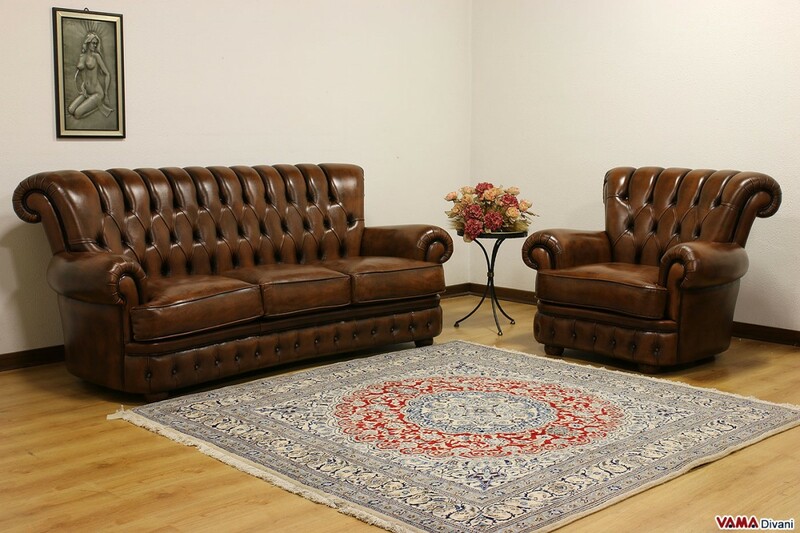 Comfortable and convenient, the leather sofa Doge is perfect in all traditionally furnished rooms, and its dimensions are completely customisable. 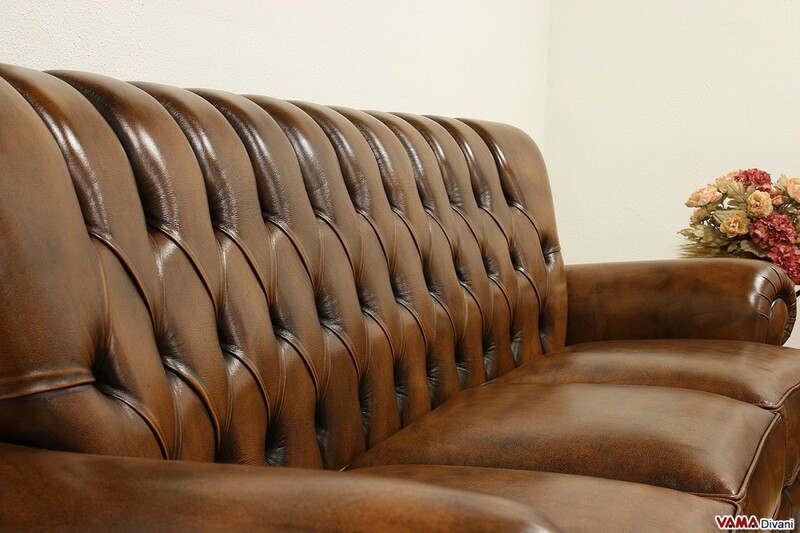 A really masterpiece of Italian craftsmanship. 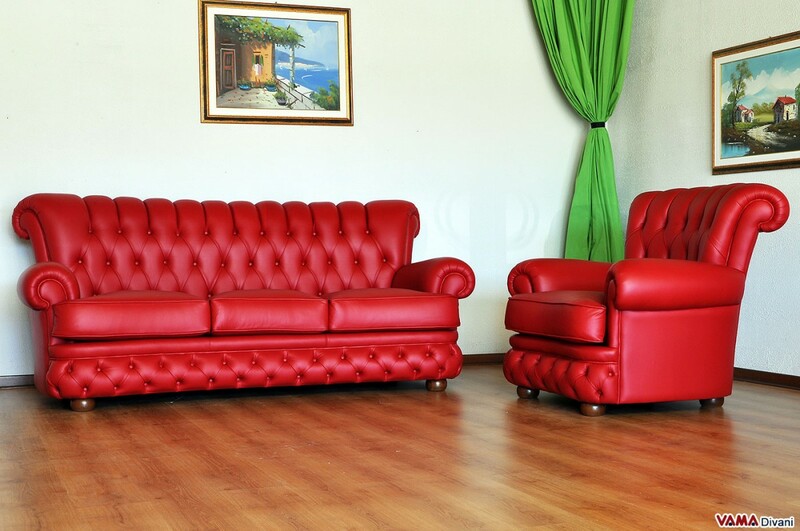 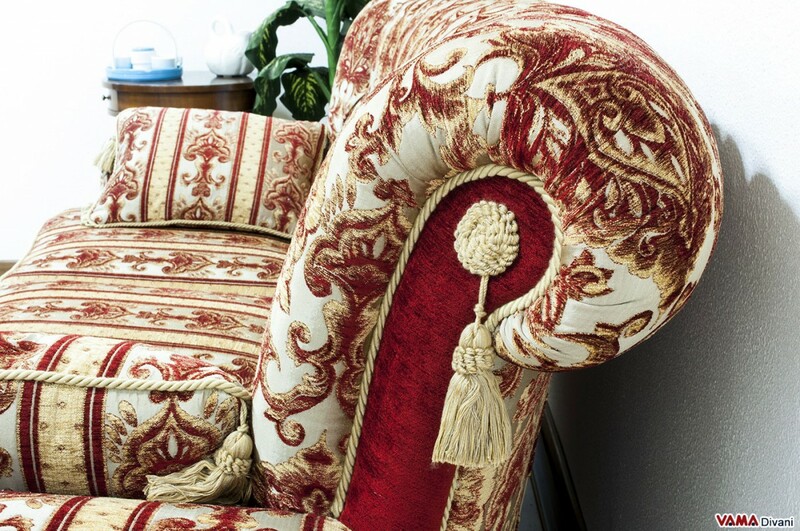 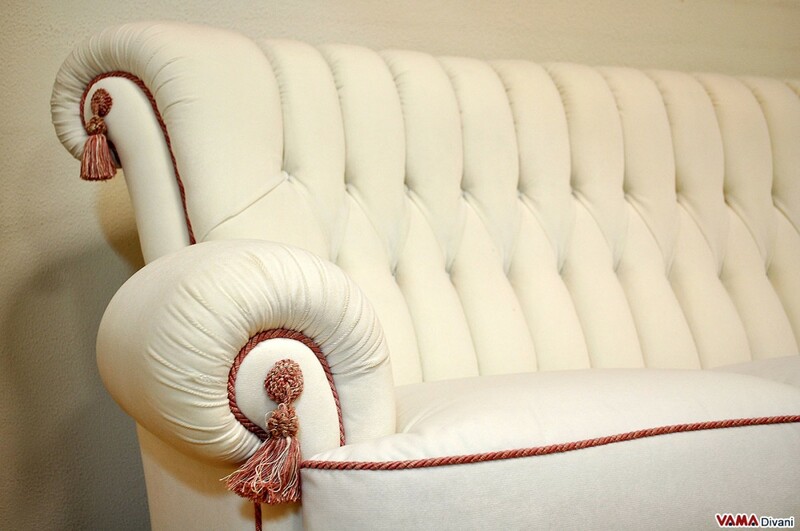 Doge is really a classic sofa featured by elegance and fine details, that undoubtedly requires great diligence and great craftsmanship, but it offers a glance that fascinates even the most demanding lovers of traditional furniture. 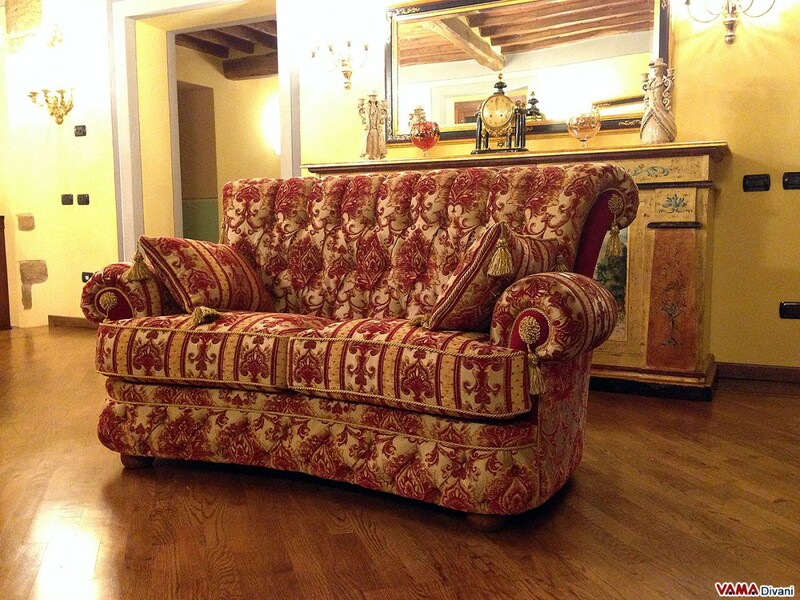 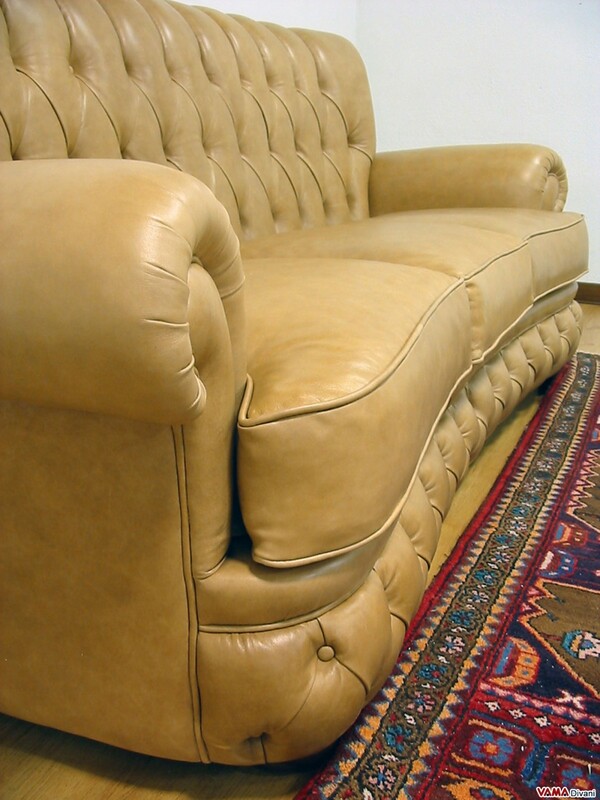 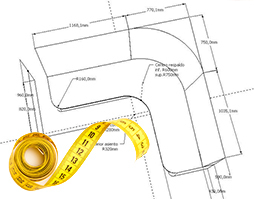 Doge recalls the popular and timeless Chesterfield sofa, undisputed icon concerning classic furniture, but, it presents several features that make it different from this famous British sofa. 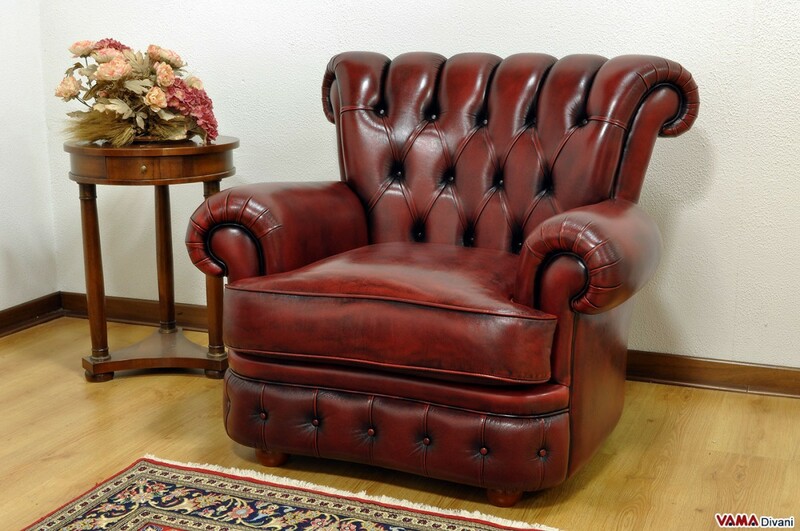 First of all, the seat back, is much higher and features a particular shape and impressive side details, moreover, its arms are smooth, just like the seat cushions. 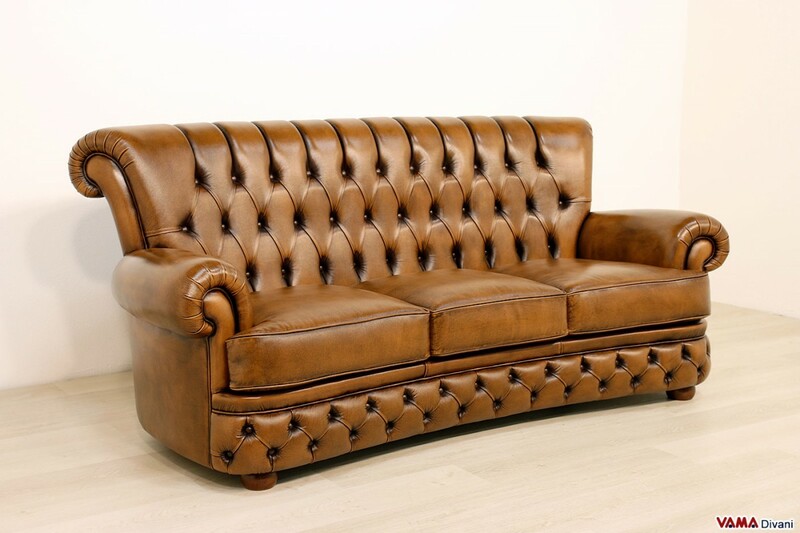 The famous buttoned details, realised by applying directly to the leather, small decorative buttons, are perfect just like in Chesterfield sofa, but in Doge model, this stylish embellishment is finely added also in its base. 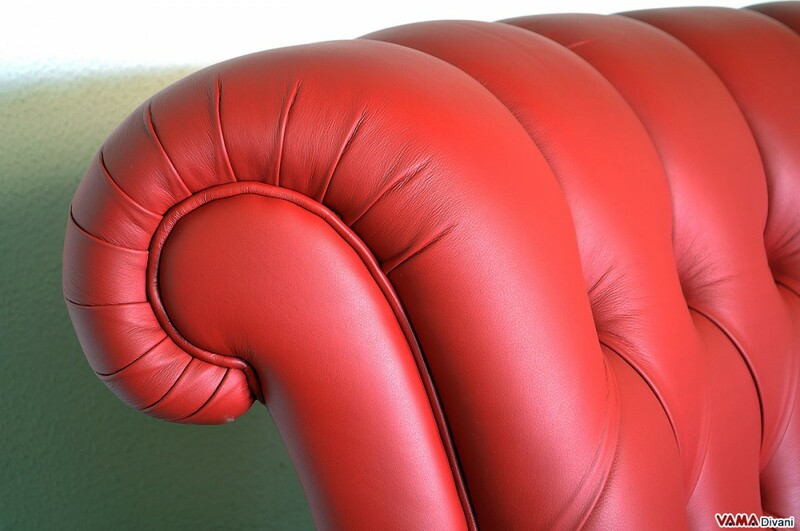 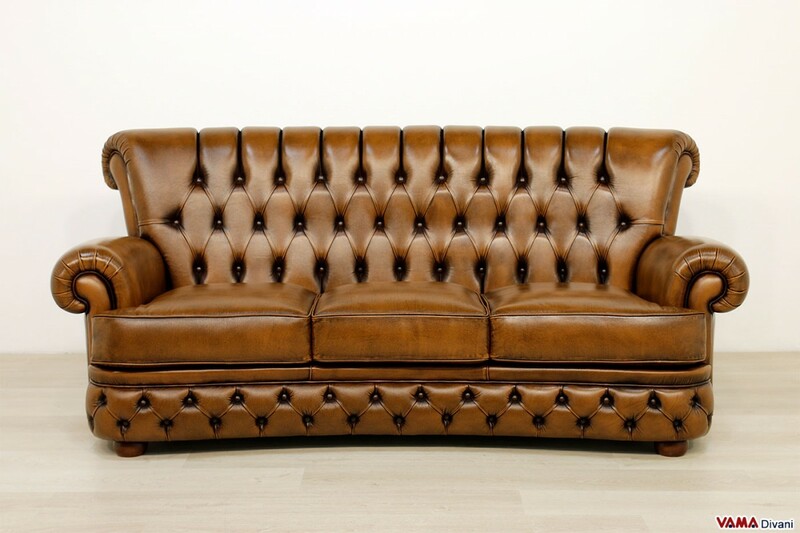 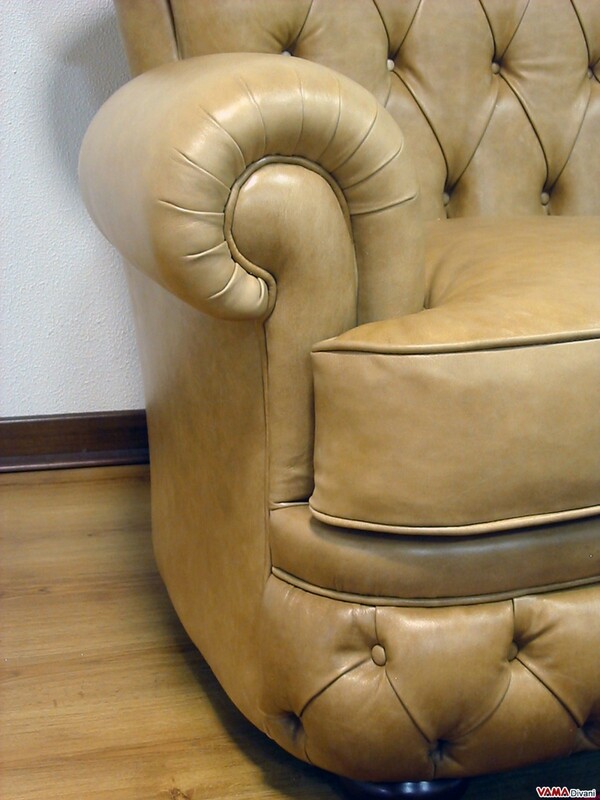 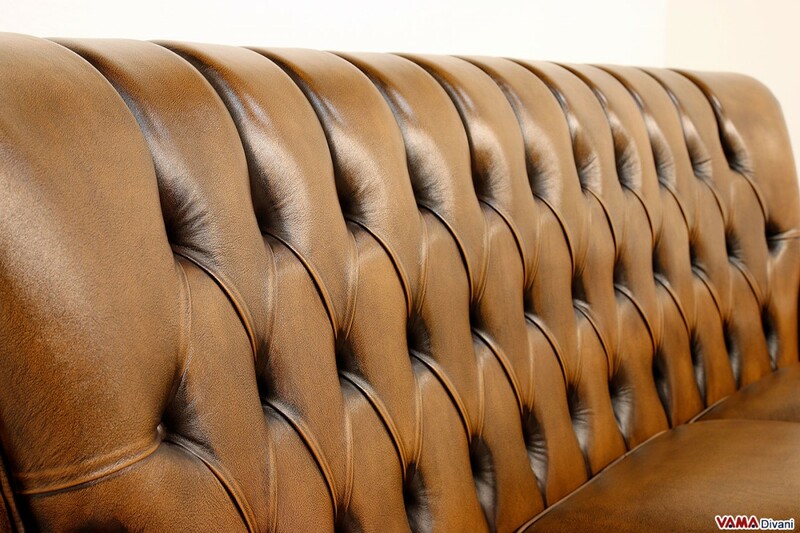 Its leather upholstery follows the most ancient tradition of the Chesterfield sofas, but, the classic Doge sofa can be realised even with a fabric upholstery. 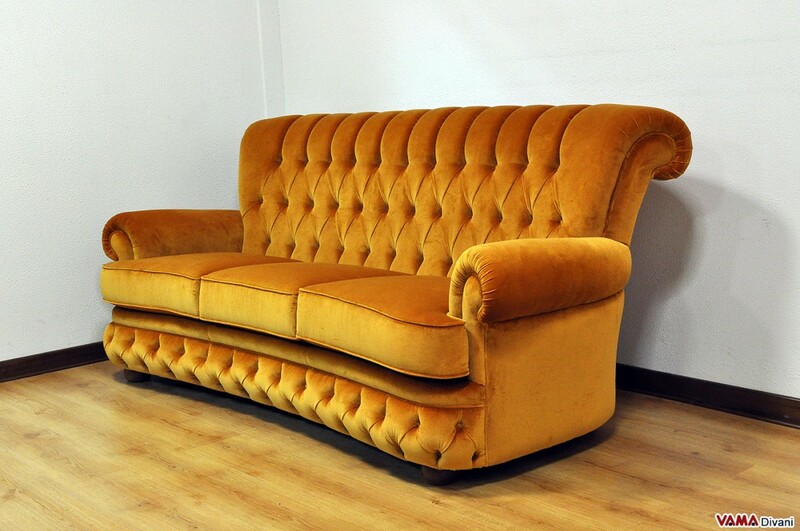 Doge can be customised by VAMA Divani, and besides being a sofa with a beautiful style, it is a very comfortable sofa, thanks to its soft padding and its large and high back.